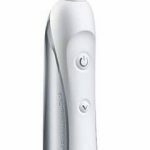 The Oral-B Professional Care Smart Series 5000 is a high-tech electric toothbrush, that puts Oral-B’s clinically proven technology in practice. This brush pulsates, oscillates and rotates to clear plaque efficiently. The Smart Series 5000 has 5 brushing modes for your needs: Daily Clean, Sensitive, Whitening, Massage, and Deep Clean for a thorough rinse. With Deep Clean, you can remove up to 99.7% of the plaque from hard-to-reach areas in the mouth. But it does much more than that. 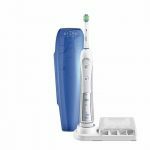 Whether a brush cleans teeth properly depends largely on the user as well, and this is where the 5000 series excels even more with its Smart Guide. The Oral-B Professional Care Smart Series 5000 has a wireless Smart Guide, that helps you to brush optimally. Every 30 seconds it instructs the user to switch to a new quadrant of the mouth. It does so visually (on the Smart Guide), as well as by stopping the brush automatically for a second. So you don’t have to look at the guide constantly. The Smart Guide also registers how much pressure is applied to the brush and stops pulsating as well as visually notifies the user when too much pressure is applied. This prevents damage to the gums and prevents excessive erosion of the teeth. 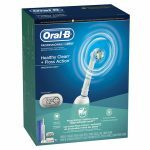 The Oral-B Professional Care Smart Series 5000 is easy to use and high-end electric toothbrush, that has a well-designed feel and an excellent pulsating, oscillating and rotating brush for optimal cleansing.